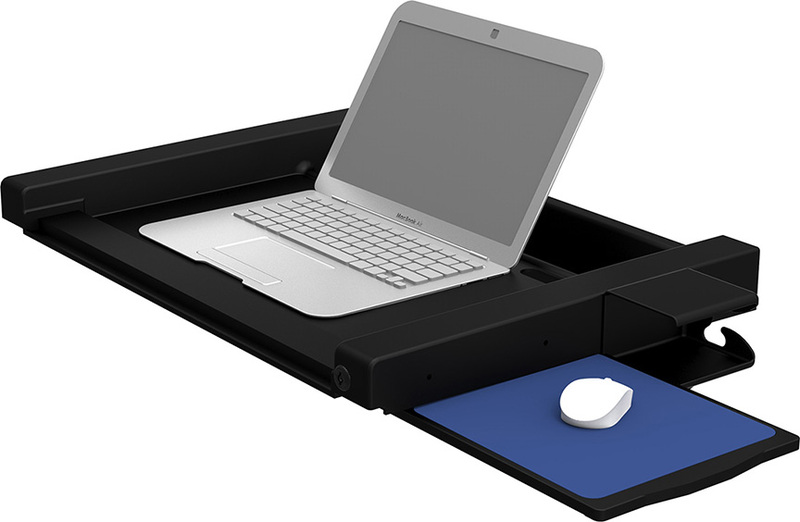 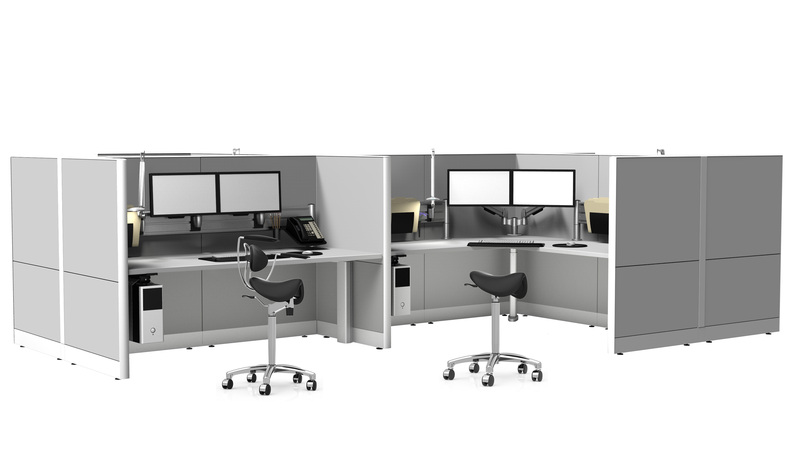 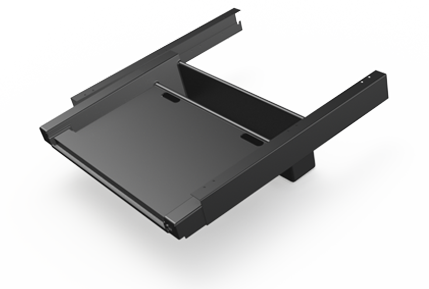 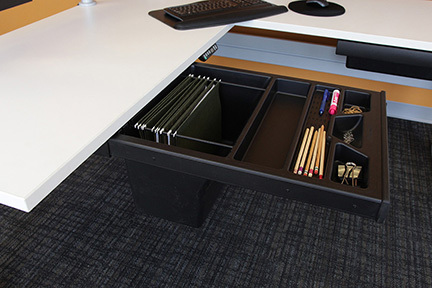 A unique and discreet storage solution that provides unrestricted movement under work surfaces. 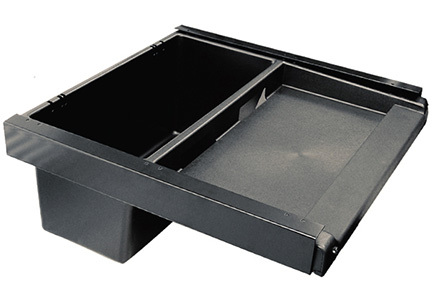 The Pelican Drawer can accommodate a variety of items such as hanging files, handbag storage, cash boxes, laptops, tablets, and personal items. 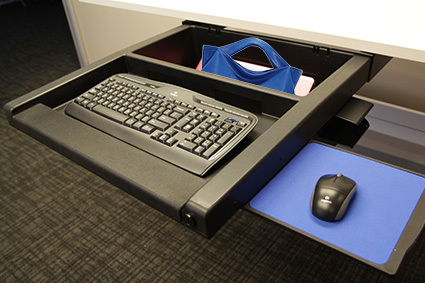 Pelican III features a keyboard tray or laptop tray that can be pulled out when needed and secured when not in use.